ITAMAR: As i was talking to the army boat cruising alongside us with some 20 armed, and muscled navy soldiers i was amazed for the thousandth time in my life at how the army portrays the reality to themselves and to us. They insisted that it is me personally who is responsible for the violence that may happen if we do not obey and they will be “forced” to board our little boat. I cynically tried to show them how ridiculous it seems to have so many armed, strong and trained soldiers boarding a boat with 9 un-armed people, most of whom remember the second world war and civil right movement in the 60’s, who declare non-violence. How can they portray the violence as our responsibility. I reminded them of the holocaust survivor and bereaved parent on board and that we do not want any confrontation with them. I think it made them angry but reduced their possible violence to most passengers apart from Yonatan and I. It is very important to remember that the Israeli army had killed two Gazan fishermen in the passing week with minimum media attention for getting “too close” to what the IDF has decided the blockade border is. Therefore their violence toward us must be put in proportion to this. ITAMAR: At least 2 soldiers, to what i understood, were assigned to getting all recording devices. The Israeli Ch 10 reporter stood next to me and one of the soldiers just took his camera from his hand. I took the camera back without touching the soldier and put it behind my back and refused to give it to the soldiers. The soldier called another one and together tried to make me move with twisting arms and shouting and trying to reach for the camera. when they did not succeed they asked for a permission from their commander to arrest me. 4 of them dragged me to the military boat and forced me down to the boat’s floor in order to handcuff me. i did not give up until one of them pushed his fingers deep onto the artery in my neck, and then i heard Yonatan’s dreadful scream and saw him losing control of his body because of the electric shock he got. I shouted to Rami to throw the camera into the boat’s engine-room and Yonatan was brought to the military boat that i was on and we were both handcuffed and taken to a large ship. The police station took several hours, they interrogated Rami, Itamal (ITAMAR), Reuven, Eli and I and we were all accused of trying to enter an illegal closed zone, while Rami, Itamal and I were also accused of threatening, insulting and attacking the soldiers.We were all released around eight in the evening. It was shocking to be attacked so brutally whilst hugging and singing – the soldiers shouted at us, shook and pushed us. We were shocked to hear the army say the takeover was peaceful. Mainly he is thinking about how to maintain a stable hover and not to lose visual contact with the other helicopters and the ship below him. He listens and gives orders on the helicopter’s internal communication system and maybe he also feels a little fear; after all, hovering over a vessel on the open sea, and at night, is no simple task of aviation. The Freedom Flotilla Coalition has just concluded its meeting in Athens, where we assessed developments related to our ongoing efforts to end Israel’s criminal blockade on Gaza and other illegal policies perpetrated against the Palestinian people. We have said that we would not allow Israel’s violence against Freedom Flotilla I stop our global citizen efforts to stand up to Israel’s ongoing intransigence and indeed it has not. Over the last three months, we have been joined by national coalitions in Italy, Switzerland, France, Spain, Canada, Norway, Belgium, Austria, Australia, and the United States, and other countries, each of which is working on sending a boat to Gaza. 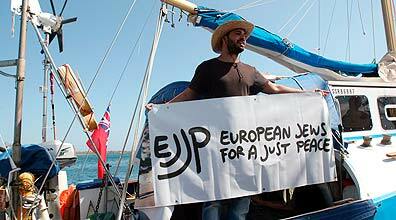 As we speak, a Jewish boat is on its way to Gaza in a statement to the world that Israel does not act in the name of world Jewry, nor does Israel’s blockade of Gaza have anything to do with protecting Jews. The people of Gaza anxiously await their arrival. We have started a movement that Israel, with all its weapons, cannot stop. We have been forced to do this because our governments have not been willing to hold Israel accountable for systematic violations of Palestinian human rights. We expect our governments to support our nonviolent actions to uphold international law, and to take action when their unarmed citizens are violently attacked, beaten, arrested and killed. We lost nine of our colleagues to Israel’s senseless violence and this is only a fraction of the violence that Palestinians have been subjected to over the last 60 years. Today the independent Fact Finding Mission, commissioned by the United Nations Human Rights Council releases the conclusions of its investigation into the Freedom Flotilla raid. The UN flotilla report concludes that Israeli troops used “incredible violence” against us, committing “grave breaches” of international law. The report also says there is “clear evidence to support prosecutions” against Israel for “willful killing” and torture committed when its soldiers stormed our flotilla last May. Greece, as a signatory to the Rome Statute has the right to bring this matter before the International Criminal Court. Our respective countries have the ability to invoke universal jurisdictions to hold Israel accountable for its crimes. Israel has consistently tried to label any individual or group that acts to defend Palestinian rights as “terrorist.” They launched a slanderous attack on our Turkish partners. The UN Flotilla report rejected the notion that intervention by civil society to address the cause of a humanitarian crisis is meddlesome. It called for space for both humanitarian intervention to alleviate the crisis in Gaza, and political action to address the causes creating the crisis. The Second Freedom Flotilla now being organized, like the one so brutally attacked by Israel, will aim to do both. In the meantime we call upon our countries to use all available legal and political means to ensure that Israel stops acting above the law so that we do not have to put our lives on the line to do so. You are currently browsing the Shiptogazasweden's Blog blog archives for September, 2010.